Teenage Sisters Get Global Respect For Campaign To Rid Bali Of Plastic Bags : Goats and Soda Plastic is choking our oceans. Inspired by Gandhi's activism, two young women on the island of Bali are on a mission to do something about it. How young? So young one of them couldn't make it to our midweek interview. 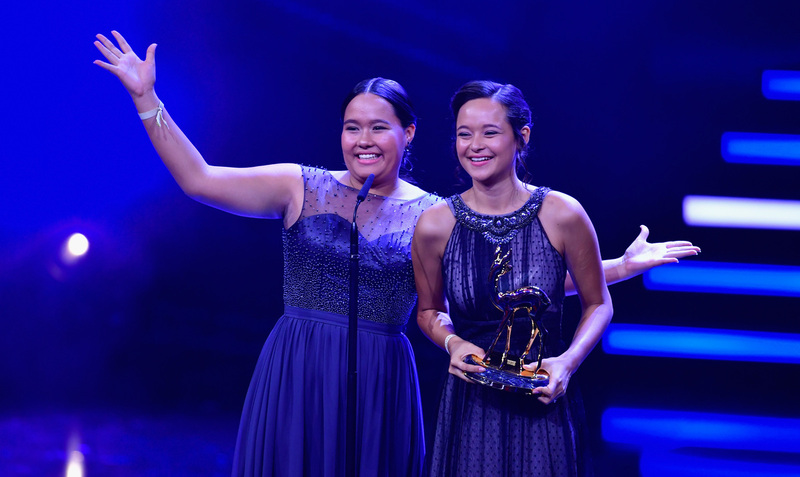 "She's at school," explained 18-year-old Melati Wijsen, talking about her 16- year- old sister Isabel. The two sisters got the idea for Bye Bye Plastic Bags in 2013 after a lesson at school about influential world leaders — change-makers — including Nelson Mandela, Martin Luther King Jr. and Mahatma Gandhi. "My sister and I went home that day thinking, 'Well, what can we do as kids living on the island of Bali?' " Melati Wijsen says. "It got to the point where on weekends when we would go to our childhood beach, if we went swimming there, a plastic bag would wrap around your arm, Wijsen says. "And you say just, enough is enough." "We thought, 'Well, if they can do it, c'mon, Bali! C'mon, Indonesia! We can do it, too!' " Wijsen says. "So, without a business plan or a strategy or a budget, like my mom will tell you, we went forward with a pure passion and intention to make our island home plastic bag free." They got some friends together, went online to start a petition and got 6,000 signatures in less than a day, Wijsen says. They spread awareness through school and community workshops. The organized massive beach cleanup campaigns, all the while drawing international attention and that of local politicians too. Especially when they decided to up the ante optics-wise. Pastika signed a Memorandum of Understanding with the sisters to work toward eliminating plastic on the island — and later pledged to rid Bali of plastic bags by 2018. That didn't happen, but the sisters kept engaging government at every level — local, municipal and national — to keep up the pressure. Melati Wijsen says she learned a lot about dealing with politicians in the process. Melati Wijsen was thrilled with the news. But she says there's still lots of work to be done spreading the no-plastic gospel not just in Bali and Indonesia but around the globe. She's graduated from high school but is committed to her campaign: "This is my No. 1 focus right now," she says. "It consumes almost every thought in my body. I mean, it's like a full-time job." Is she obsessed or just focused? "A healthy chunk of both," she says, laughing, adding that her mother helps keep her balanced. "Some days, she'll just be like, 'Melati, take a day off, like go to the beach with your friends and just don't pick up the plastic, just sit there.' " She is going to the beach — on Feb. 16, when Bye Bye Plastic Bags is planning its biggest beach cleanup ever.